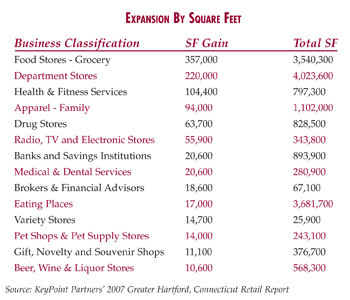 Looks like Greater hartford is doing pretty well in terms of retail growth. We had both expansion and lessening vacancy. I know we have been talking about places closing but it seems that as a general trend the area is still on the rise. 2008 will be interesting as it seems many closings were early on this year.